Rabbits are normally known to eat great volumes of veg, however, there are exceptions. If it were not so then why does the Easter time bun deal in sweets? Particularly jelly beans, organic fair trade food dyed jelly beans. 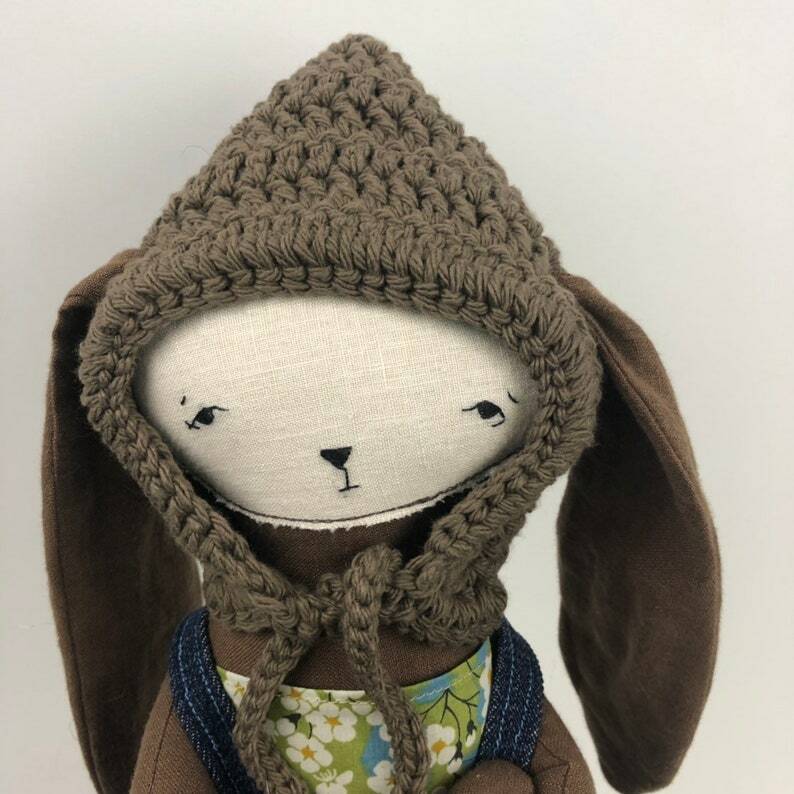 This bun is made of reclaimed linen fabrics, with a liberty print tube top recycled from the scrap pile of a local seamstress, a crochet cotton bonnet and reclaimed denim fabric bib overalls because what else should a bun wear, really. Standing 19 1/2” tall without bonnet. Button jointed arms. Hand embroidered facial features.